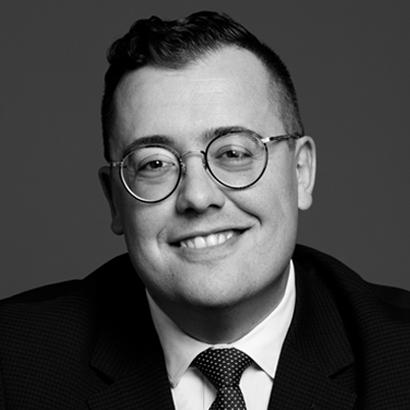 Brian is an exceptional litigator who is committed to the same excellence in advocacy that has made Lenczner Slaght Canada’s leading litigation firm. “We are thrilled that Brian has accepted our invitation to join the partnership. He personifies what it means to be a partner at Lenczner Slaght - a commitment to excellence, a client-centred focus and a can-do attitude. Brian builds on our strengths and we look forward to his contribution.” said Tom Curry, Managing Partner. Already, Brian is an outstanding new partner: one relentless in his pursuits. He has successfully litigated a wide range of disputes, including complex business disputes, civil fraud, professional negligence and defamation. His clients have included Canadian and foreign public and private companies, professionals, governments and regulators. He also has a particular interest in fraud, securities and complex financial instruments. Brian’s diverse experience gives him the edge in advocating for his clients in any setting. Everyone welcomes Brian’s intrepid approach to litigation as he consistently finds efficient, practical approaches to advancing his clients’ interests. They appreciate his quick judgment and ability to recognize what’s really at stake. From courtrooms to boardrooms, he is an expert advocate.